If you think this business feels like a roller coaster—sometimes a thrilling ride, sometimes a treacherous uphill battle, you’re absolutely right. Bringing awareness to both the thrills and struggles of the ride will empower you to create results (and it’s also the reason 95% will fail). This coaster is known as the entrepreneurial stages, from new idea to next level achievement. Anytime you embark on a next level leap, you’ll find yourself on the following journey. I’ve personally been on this ride over and over again! I’m going to break it down into stages, and then I’ll show you how to use this roller coaster to your advantage. We often think of our attempts to progress as an uphill battle, but in actuality and as I’m sure you know, it’s filled with peaks and crests of motivation. When a new idea is born and you move in its direction, there’s excitement in the air. You’ll likely feel like your buzzing with potential during this thrilling time and become lost in the dreamy possibilities of it all. This stage is the one we live for as entrepreneurs. You’ll jump out of bed full of energy each morning and marvel at how the hours fly by while you gather research, chart your course, and prepare for your leap to the next level. After all of the dreaming has been arranged into a plan of action, the real work begins. This brings project realization. Hours become days that turn into weeks of work that requires real effort. It seems as though the further along your plan develops, the more effort it takes to get the job done! This stage is rough, overwhelming, and eventually becomes a real struggle. Your motivation wanes and procrastination sets in. If you thought stage 2 was rough, buckle up for the real work. This part of the journey is why most unfinished business remains just that — unfinished. At this stage, your enthusiasm is spent and your excitement has expired. You want to give up because the project requires enormous effort; it feels as though you’re trudging through mud. The mud is meant to be hard, and that’s what makes it an easy quitting point. Most people will give up; the project will crash and burn. However, this year you’re going to push through to the finish line and beyond. To crash and burn is only an option, and it’s best if we take that option off the table now. The mud is the necessary challenge that creates change. I want you to barrel through it. When you reach the next level, it’s a place of lessons learned, experience achieved, and well-deserved promotion. This journey is a guaranteed stretch of your comfort zone. Expect everyone besides the people who love you the most to think you’re crazy (and get used to it). I’m sure you can imagine the looks I get when I tell friends and extended family that I’m going to make six-figures from my home office. My business lives online, as do my colleagues and dream clients and customers. None of that makes sense to my friends and extended family because they can’t see it, nor have they ever heard of such a thing before. 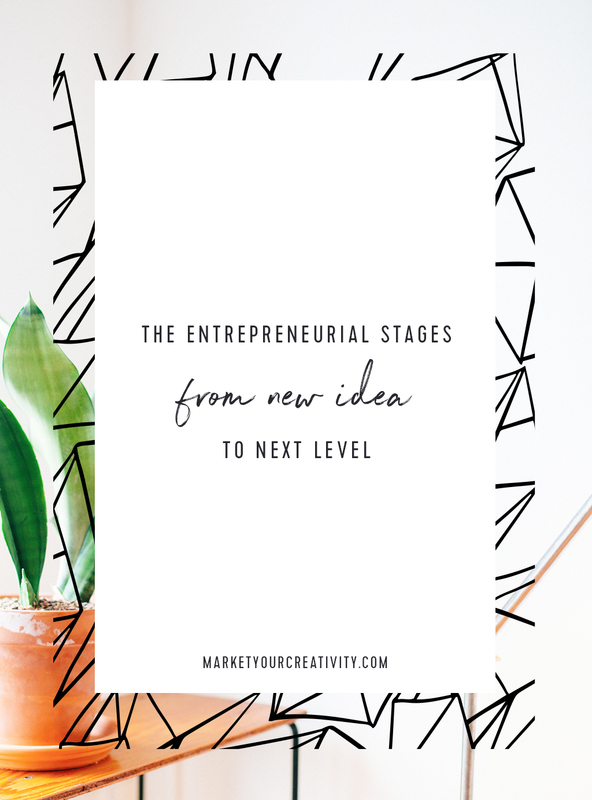 You see, each next step in your creative business brings you to another vulnerable bridge. Even though you’ve already crossed many vulnerable bridges to get to the safe and solid ground you’re standing on now, the next bridge to appear on your path always presents more difficult challenges to overcome. These scary and seemingly unsafe bridges can sometimes make the journey utterly exhausting. Worse yet, just before you take your first steps to cross the vulnerable bridge ahead of you, your mind plays tricks to protect your heart. You then desperately seek reassurance from others, and if you’re anything like me, most of the people you know in the real world can’t comprehend your vision, let alone the obstacles you currently face. Sometimes the safety of your comfort zone plus fear of the unknown can stop you dead in your tracks for days, months, even years. And you’ll get stuck there until your desire for what’s on the other side of that vulnerable bridge trumps all, and you just go for it. Therein lies your challenge. In building an online business, my comfort zone has been tested more than ever before in my life. Putting myself out there, and always in new ways, leaves me feeling vulnerable and exhausted. In 2013, I decided to launch a membership program as a way to continually follow-up with my private clients long after our one-on-one sessions had ended. I started the project with a lot of excitement in August (stage 1) with a launch deadline of October 1. I began the project by mapping out the user experience and outlining all I wanted to include, such as courses, e-programs, video training and books. I was simultaneously working with a designer to create the logo, buttons and graphics for the club. By early September, I was struggling to stay afloat of the workload. I realized how much was left to do, and the tasks required massive amounts of effort and energy (stage 2). This project eclipsed my regular tasks (blogging, emailing, etc.) in order to meet my publicly announced launch date. Mid-September, I realized my web host would never handle the new membership software. I switched web hosts, which was a major undertaking in itself, nearly losing my website three times. The deadline loomed, the to-do list seemed never-ending, and I wanted to throw in the towel (stage 3). I dubbed that month “weepy September” because I was prone to spontaneously sobbing in public. My bandwidth was so full during this period that I lost memory for everything else: account information, phone numbers, and schedules escaped me. I had to write down everything lest I forget. I accidentally sent my checks and checkbook to school in my son’s homework folder and repeatedly left unaddressed packages in the mailbox! Things got worse before they got better. Days before the launch date, I was still writing content and finalizing the user experience. The checkout button wasn’t working until three hours before the official launch time, and I finished the very last detail one minute before at 11:59 PM on September 30. My first member joined one minute later (stage 4). In the mud, it would have been so easy to scrap the project or delay it, to wait until I had more experience, or until I could afford to hire people with more experience, etc. But here I am, three years on the other side of it, and I can tell you it was worth every step I took in the mud. It was a necessary next level step. Can you remember an attempted level up where you crash and burned? How about one that you pushed through the mud to score a next level win? Please share your experience below in the comments. I think I’m in the mud right now, and it’s so messy! I work full-time and have started an online biz to help pay down student debt. I really started pushing for that next level in July of this year. The manifestation that I started to put into my biz revealed itself almost immediately! I’ve had over 100 orders in just 1 short month, and my little online biz feels like its own full-time job (I’m even surpassing my full-time income!). I’m working to turn this into something real, and that’s resulting in some sleepless/ weepy nights over here. My ultimate goal is to be student debt free, and to do that I plan on keep my full-time job for as long as I can. I’m trudging through the mud because I know it will be so WORTH IT once I reach my goals. You’re an inspiration! Love that you are working so hard towards your goals! I’m with you in the mud. I had almost 30 orders, which was a huge jump, and am still working through them. I feel like it’s taking me forever! What a wonderful website that I just now had stumbled on! I been non stop researching online and having a mental plan of what exactly i am going to do to achieve a small business. I am currently planning a DIY Luxury Candle side hobby and will be selling on apps, Facebook, social media, and hopefuly locals shops! I am completly OBSESSED with my label. It is so timeless. Thank you for the motivational blogs! I pushed through the mud to get my work in an art gallery gift shop. So afraid of rejection, but pushed through the fear. They were really impressed and took it right away. Now on to my next fear…..wholesale. Work full-time “job” while cultivating an online tribe, and creating a linesheet for wholesale. I need more yoga (or coffee, did I mention coffee ?) ! I’ve fallen into the mud head first and stayed there floundering around since May! After months of difficulties, I’d finally set up my website, Facebook page, and Etsy shop and made a few sales, when my elderly father whom I care for, was taken ill and hospitalised. His recovery was very slow and he then had further health complications. So I spent the next few months ferrying him to numerous appointments, taking over more of his care and trying to arrange care for him, so that I could go on holiday. I also invested in a property that I could rent out, to give me a regular income. With children home for the holidays, two weeks away, then ill myself for two weeks, I’ve done literally nothing with my shop, no social media, no updates, no new products in 4 months! I’ve just prioritised everyone and everything else and made no time for my personal goals and almost ready to give up! Thankfully I’ve just come across this article and it has given me a much needed kick up the *** ! Thank you Lisa Jacobs! Thank you, I needed to hear this, this morning!